These instructions, show you how to downgrade your paid plan to the free plan, online using a desktop computer. 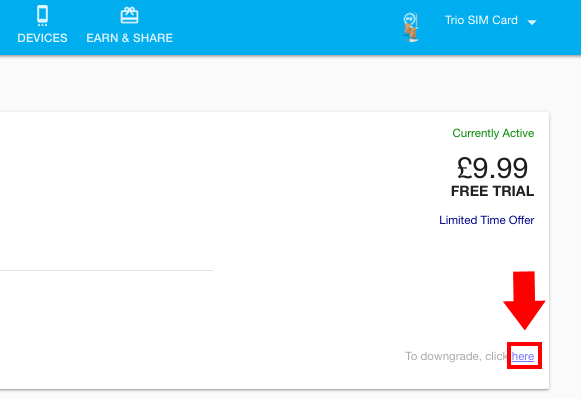 If you'd like to downgrade using the application on your phone, please click here. Make sure to tap the drop down in the top left corner if you have more than one account you would like to make changes to. If you only have one device on your account, you will not see the drop down option. This process will have to be repeated if you wish to make changes to multiple devices. 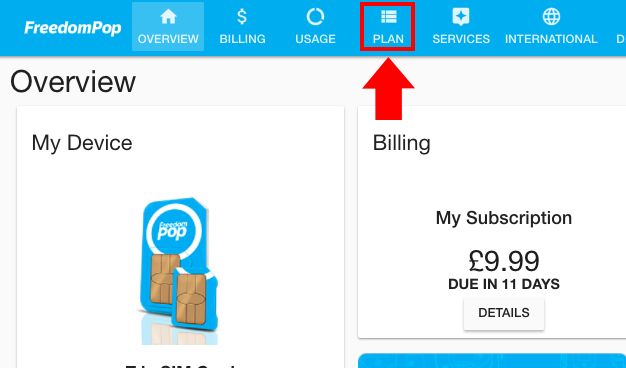 Step 1) Log into your FreedomPop account and click on Plan. Here you can see your existing plan and other available plans. Step 2) Click on your current plan. Step 3) Click the small link that says “To downgrade, click here”. Step 4) Confirm your downgrade. You have successfully downgraded your service! A notification will also be sent to your email confirming your plan downgrade. 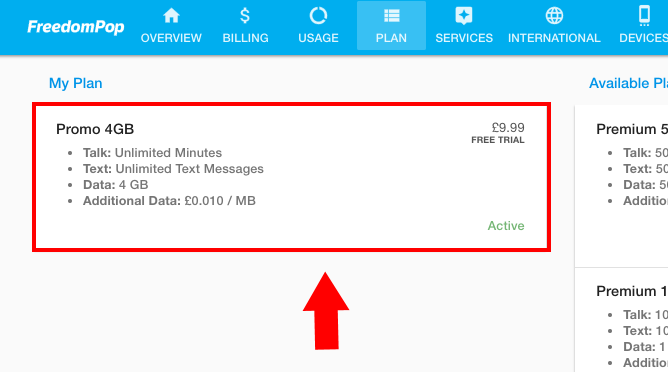 If you created a new FreedomPop account prior to November 2015, your voice and data plan will appear as separate options. The downgrade steps will need to be repeated for both voice and data.